This is a good temporary fix for split ends between hair cuts. This actually came packaged with my shampoo when I purchased it. The shampoo without the split end protector was the same price so I opted to get the bottle with the extra product. The scent of this smells really great. It has a very floral scent. It smells like fresh wildflowers. The split end protector is supposed to help seal your split ends and to keep them protected when you use heated styling tools. I think it actually does both. It seems to help keep my hair soft and frizz free when I apply it to my ends. I like that I can apply this wet or dry to the ends of my hair. It seems to seal the ends off and keep the splits from showing as bad. I also notice that if I apply this before curling or straightening my hair that my tips still feel soft to the touch. It's a great leave in conditioner and I actually apply it all over even though it's just for split ends. It helps calm my frizz which is an added bonus. I do have to reapply a few times throughout the day. Effectiveness It helps seal my split ends and keep them protected between hair cuts. Scent The smell is amazing. It smells like flowers. This is a Wonderful leave-in conditioning product. I really like the Herbal Essences Long Term Relationship Leave-In Split End Protector conditioner. It definitely is a time saver too because I don't have to rinse it out of my long hair. This Protector is a little expensive but you don't have to use a lot of it for it to really work well. I have long hair and I use about a nickel-size of it and it is plenty. I do not put it all the up to my roots but start applying it from about neck length to the bottom of my hair. It keeps my hair very healthy looking plus as an added bonus it really seems to cut down on the fly away frizzies caused by static. This conditioner smells the best and since I don't have to rinse it out, the scent actually stays in my hair and lasts throughout the day. My hair feels healthier since I started using this and it looks smoother too when I wear it straight. When I use this protector and then curl my hair, the curls are healthy looking and they stay in very nicely. Sadly cannot find this anymore! Good product but not something I bought more than once. I have really long hair and struggle with split ends frequently. I am always looking for products to help keep my hair from splitting at the ends. I had been using the Herbal Essences Long Term Relationship shampoo and conditioner so I wanted to try this with it. It was really easy to put in my hair and wasn't messy. I could tell some difference in my split ends but not enough to continue purchasing the product. If I have a larger budget, it may be an item I would continue to buy. However, the outcome wasn't worth continuing to buy it. Effectiveness It made my split ends look a little better but not enough for me to continue to use the product. I still could see my split ends pretty quickly after I would get my hair trimmed. It didn't do enough to make me want to continue to use it. I would give it another try if I had a larger budget to spend on hair care. Scent The scent is great. It compliments the shampoo and conditioner smell very nicely. My hair always smelled really nice after using this with the other products. Long term relationship is great! Just for reference, I have medium length, straight asian hair. My hair not thin, but it's not entirely thick either. I purchased the long term relationship leave in, because I love the long term relationship shampoo and conditioner. I wanted to try this because my hair can get really dry, and i'm prone to split ends. I needed something that would help me grow out my hair healthy, and make it strong. I find that I have a hard time growing out my hair, whenever it gets long enough it always has a ton of dry split ends. After using the Herbal Essences Long Term Relationship Leave In, my hair was really soft to the touch. It was no longer tangled, and my split ends were a lot less noticeable. After using this for awhile my hair was noticeably healthier and appeared to be a lot thicker. I also noticed that I had a lot of new baby hairs on my hair line. My hair is very smooth and shiny looking, and my hair also is a lot straighter with less cowlicks and flipped out ends. This conditioned my hair without making it feel weighed down, and now i'm on my way to having long healthy hair. How I use this: I use this after I shower. After I've towel dried my hair I use a dime size amount and rub this into the ends of my hair. Then when my hair is about 80% dry, I use a blow dryer and a round brush. On days I need extra styling I use my instyler. I would definitely recommend to try this especially if you are trying to grow out your hair like I am. Effectiveness This works extremely well at keeping your hair moisturized. It penetrated my hair and strengthened it from the inside out. My hair is growing out a lot healthier, and overall looks very shiny and smooth. I have a noticeably less amount of split ends. Scent Long term relationship has a nice sweet raspberry scent to it. It's very fruity, and tropical smelling. I love this smell because it's strong even after you dry your hair. It keeps your hair smelling and looking great all day. After the None of Your Frizzness Leave-In Creme got discontinued I turned to this creme as my new leave in creme because I knew that herbal essence had great products that did great things to my hair. This really complements the Long Term Relationship Shampoo and Conditioner because it helped to make my hair stronger and grow longer because it decreased the amount of breakage I got and I did not have to get a split end trim for a longer period of time. This smells so good and it left my hair really soft and easy to detangle. Effectiveness This product really delivered because I did not expect to make my hair so strong and healthy. My breakage reduced by a lot and then my ends looked so much better even after 3 months without a trim. This is a great product to use because not only is it inexpensive but it helps you to get strong and healthy hair. Scent This has a nice clean smell that is a bit fruity but not too much. I really like how it made my hair smell so good and feel so soft. 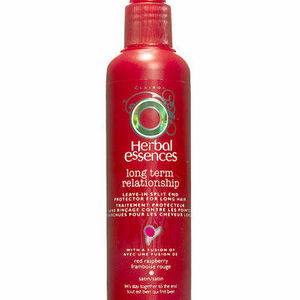 Herbal Essence Long Term Relationship 4 Hair you LONG to touch! 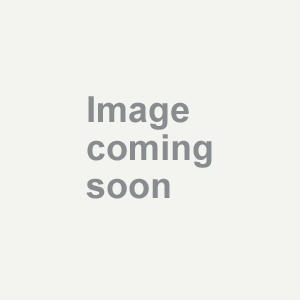 Herbal Essence Long Term Relationship conditioner is every bit as economical as the shampoo. Just a dime sized dollup goes the length with ease. The best results are obtained by leaving it on for at least 5 minutes. Shave your legs while you wait and enjoy the wonderful raspberry aroma. Your hair will be easy to comb through no matter how much toweling you do. After a good blow dry and brush out, you will find your hand has a mind of its own and keeps going back to your hair. At first, I thought, it was just me...but the proof is in the pudding...so to say. While curled up on the couch with a killer dvd and my man...I noticed he also could not keep his hands off my hair. I thought maybe I should get him a puppy since he seemed to like rubbing my head so much...but decided that the scalp massage was working wonders on the headache I picked up from work earlier that day...so I'll forget about the puppy and just keep using Herbal Essence. Herbal Essences leave-In Split End Protector Is Great! I absolutely love my *Herbal Essences leave-In Split End Protector! * It works great. If you have long hair you will want to try this stuff. I love almost all of the *Herbal Essences* hair care products mostly because they smell so good and leave my hair silky and manageable, and not greasy like some leave in conditioners can do. 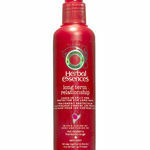 *Herbal Essences leave-In Split End Protector* does the job it is supposed to do. It works great for newly permed hair. It helps to maintain curl and body. And when using the pick it works right through to the ends of the hair, leaving the perm looking great, not fuzzy. As we know, brushing your hair after a perm is a no-no because it tends to friz out the curls and makes your hair unmangeable, but when using a pick, plus *herbal essences split end protector, *it leaves your hair shiny and smelling great all day long. I give *Herbal Essences Leave-In Split End Protector *a thumbs up! The Herbal Essences Long Term Relationship Leave-In Split End Protector does not help protect split ends. I have a split end problem, so i tried this product, because i have been hearing so much about it. It did not help my problem, if anyting it made my hair worst. The Cons for the Herbal Essences Long Term Relationship Leave-In Split End Protector are 1. It makes your hair gressy 2. It dries out your take 3. The product is so watery The Pros for the Herbal Essences Long Term Relationship Leave-In Split End Protector 1. Very resonable price 2. Has a pump out dispenser I would absolutely not recommend the Herbal Essences Long Term Relationship Leave-In Split End Protector to any friends, family member, special someone or anyone who asks. It is not a good product and does not do what is said to do. I rated this product a two out of five and it deserved it. Next time Herbal Essences should create a product that helps your hair and not make it worse. Long Term Relationship Leave-In Split End Protector Is Awesome! I have been using the Herbal Essences Long Term Relationship Leave-In Split End Protector for about three months or so now. I really like it! I purchased this from a local drugstore of mine. I don't remember the exact price, but I do know that it was pretty inexpensive for a hair product. Also, I like the packaging of this. It comes with a nice pump. That's very handy. I don't have to squeeze the product out like some hair products, when I have the squeeze bottles I always ending up getting too much. Also, I like how really does seem to moisturize the ends of my hair. The ends of my hair don't look dead and dried out. 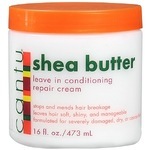 The ends of my hair look moisturized and healthy when I use this! I also like how this doesn't make my hair look greasy or oily. I also like the scent. It's super nice and sort of fruity. I also like how this product leaves my hair smelling a little like it. After a few hours I can still smell a little bit of this. I love this product!